space-time continuum, a brilliantly conceived and loopy trilogy that gets dark when you least expect it and features the best, most cheerleader-worthy heroes of all. Great Scott! 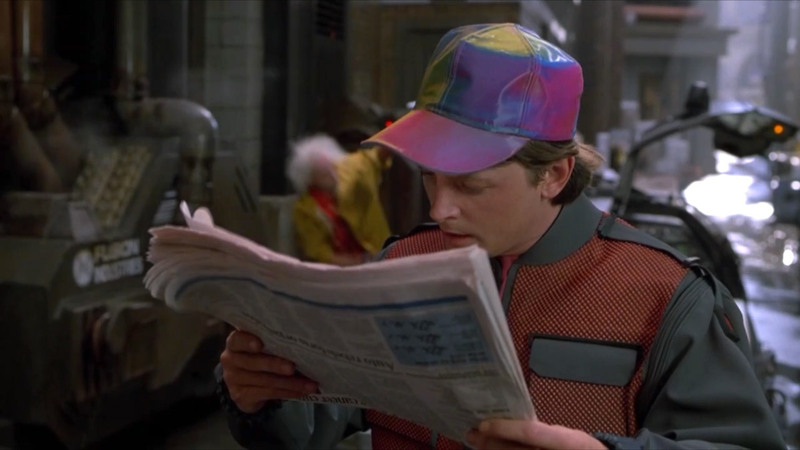 Now, on October 21, 2015, the day “in the future” Marty McFly and Doc Brown travelled to in Back To The Future II — a day naturally christened Back To The Future Day — I tip my psychedelic baseball cap to that all-time classic and type at 88 miles an hour to list my ten other favorite movies about time travel. Watch them if you haven’t already, rewatch the ones you have. I promise you they’re all pretty neat. (Just don’t buy any sports almanacs along the way.) In no particular order, here they are. Few visionaries play as fast and loose as Terry Gilliam, and the former Python shows off some of his most lucid, mind-bending genius in this film set in a frightening 2035 version of Philadelphia. Earth is contaminated with a virus and Bruce Willis must travel to the 90s to try and stop it. A chaotic and twisty affair, Gilliam’s film is a terrific trip made essential by committedly loony performances from Willis and a young Brad Pitt. Nacho Vigalondo’s festival-conquering Spanish indie may be the lowest budgeted film on this non-linear list, but it doesn’t skimp on the smarts. There are a fair bit of paradoxes and contradictions flaunted in the actual mechanics of the narrative, but this film – about many versions of a man who has/hasn’t killed his wife – is tremendously compelling and hits dramatic notes very cleverly and effectively. None of the movies based directly on HG Wells’ stunning, dystopic classic The Time Machine are actually worthy enough, but Nicholas Meyer’s 1979 take on Wells himself is hugely entertaining. Malcolm McDowell plays Wells, who invents the time machine before writing about it, but it is hijacked by his friend, a certain Jack The Ripper. The result is a romp set in 1979 – the time of the film’s release and one that confounded both Wells and The Ripper but not the audiences – and while it may fall a fair few notches short of brilliant, it certainly is the kind of time travel movie I’d wanna make. Shane Carruth’s devastatingly dense and elegantly constructed film takes on a simple time travel idea – two engineers who find a way and decide to make some money – and then Shallow Grave-s that idea all the way to scarytown. The film intentionally piles on the confusion like a grand act of misdirection, Carruth showing us a film that looks too soundly logical to be, actually, not. It isn’t as smart as it sounds but it pulls the wool over our eyes so beautifully that it emerges, in fact, smarter still. The idea is pure genius. Rian Johnson’s film has a time-travelling hitman take on his own younger self, and even as the thrills pile on, Johnson astonishingly enough manages to make every choice appear rational and relatable. Looper isn’t as much about the ‘how’ of time travel as it is about the ‘what then?’, making for a truly slick and riveting film, bolstered by top-performances by Joseph-Gordon Levitt and Bruce Willis playing, well, the same guy. Ah, joy. Another Terry Gilliam film but far from dystopic, Time Bandits is an adventure doused liberally in wish-fulfillment and hope. (What else can you say for a film where John Cleese shows up playing Robin Hood?) 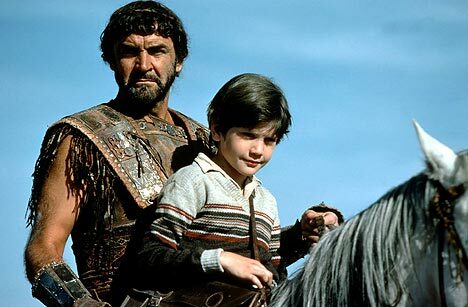 The all-star cast — in their all-star historic roles – is great but even greater is Gilliam’s boundless imagination as he looks at time-travel through the eyes of an 11-year-old boy and giddily infuses the genre with magic. To be fair, there isn’t much time travel to see here. Colin Trevorrow’s nearly-mumblecore film focuses instead on the complete and committed belief in the idea of time travel. There is skepticism, there is doubt, there is a hint of romance and more than a hint of lunacy, but then the idea of buying into lunacy is so much more appealing than real-life. It’s almost as if we, along with Trevorrow, make the impossible happen by sheer force of will. The first of the tubular Bill & Ted films, this Stephen Herek cult classic stars Keanu Reeves as Ted, Alex Winter as Bill and all of space and time as the supporting cast. In a phone booth that takes them through history’s greatest hits, our two intrepid and slackjawed heroes try to save all of mankind while also ensuring that they do not themselves flunk a history paper. Punctuated by many a stunning air-guitar riff, this ride is as rad as they come. An underrated but beautiful film about a girl with a time machine inside of her, this hilarious British comedy is set at a pub and, quite appropriately, best watched with buddies and beer. Gareth Carrivick’s film has a significant Edgar Wright hangover and he doesn’t have the panache, but his cast – headlined by Chris O’Dowd and Anna Faris – is lovely and the film bubbles along very nicely indeed. Paris is the time machine in this Woody Allen film about Golden Age thinking – the idea that a romanticized past is better than an apparently greyer present – which, basically, is a way for Allen to rebuff those stuck in the past, and who demand more la-dee-da classics instead of something different. Yet, ironically enough, with its crackling screenplay and rich literary texture, this strikingly cool film is, in every way, deserving of being ranked among Allen’s “older, funnier” films. Mr. Sen did you consider tye classic Planet of the Apes (1968)? I believe that also qualifies in this category and hopefully deserves a mention. Interstellar couldn’t make it to the list! meh.